Basketball, hockey, football, soccer. Whether it is to get your kids to stay active, busy, productive or out of your hair, we think it’s great to get involved in sports! Playing a sport, whether its on a team or solo, is a fantastic way to get your children out of the house and up on their feet. They have the chance to meet people and make friends, while learning discipline and the importance hard work. Of course, being involved in sports poses the risk of injury to the face and teeth. Between chipped teeth and fully knocked-out teeth, we’ve seen a lot of dental injuries over the years. And as parents, we want to do whatever we can to protect them. Finding the balance between protecting our children from getting their teeth knocked out and allowing them to experience the joy of sports can tough, but we are here to help. Oftentimes, your best bet is getting a mouth guard for your child. A mouth guard is a small piece of equipment that fits over the teeth in the same way that a retainer does. It is a strong a flexible device that protects the teeth from getting knocked out or damaged during a contact sport. If your kids are playing a contact sport involving sticks or balls, then a mouth guard is certainly a good idea. There are a few different brands and styles of mouth guards, but generic and semi-fitted mouth guards are usually available at most sports equipment stores. For the best protection, customized mouth guards can be made to fit your child’s teeth perfectly. Preventing a concussion is enough of a reason to wear a helmet. But in order to protect your mini-athletes head, jaw, and teeth, you must have them wear a helmet. This is especially true for sports such as football, baseball, softball, lacrosse, and hockey. People who play these sports have a greater risk of impact to the face – even the pros. There are all kinds of sports gear that your kid should be wearing to prevent injuries, but simply teaching them to play safely is just as important. When injuries are so common, practicing safe play specific to the sport they are in goes a long way when it comes to preventing dental injury. When your child is learning the sport, you must emphasize the importance of being a good sport – that way, they won’t be overly aggressive or play irresponsibly. 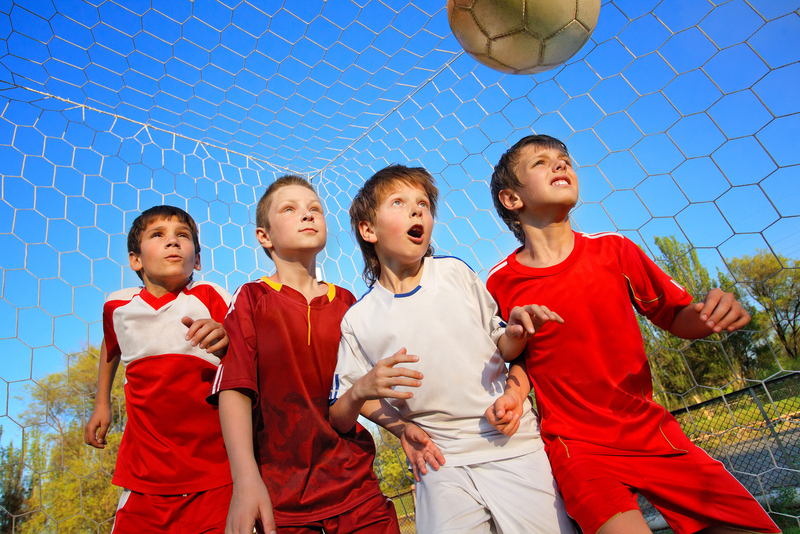 Be sure to teach them how to protect themselves from injury, and choose a coach that prioritizes safe play. We know this sounds like a stretch, but helping your child take good care of their teeth will decrease the risk of getting them chipped or knocked-out. We emphasize brushing, flossing and maintaining a healthy diet to prevent cavities and gum disease, but maintaining these good habits will help make their teeth strong. Even if an injury to the face or mouth does occur during a game, a healthy set of teeth may be able to withstand the impact. Also, baseball enthusiast and our dentist friend, Dr. James Park, DMD who practices in La Habra, California, has some recommendations for baseball players. In sports like baseball, chewing gum is a heavy part of the culture. Major league players are always chewing gum and many kids will watch and want to do the same. It’s important to not let your kids develop a perceived correlation between chewing gum and being a great baseball player. If not, they will start chewing gum and then believe that chewing gum helped them hit that home run. Here at Epic Dentistry, our team of pediatric dentists in Aurora are committed to helping your child achieve a healthy and happy smile for many years to come. And when your child is a superstar on the field or on the court, it’s important to take extra precautions to protect their teeth. For more information on how your child can prevent injuries to the teeth and mouth when they are playing sports, contact us today.